Beautiful single story in Linne Estate.Over 3400 sq ft on a 17, 223 sq ft lot ! 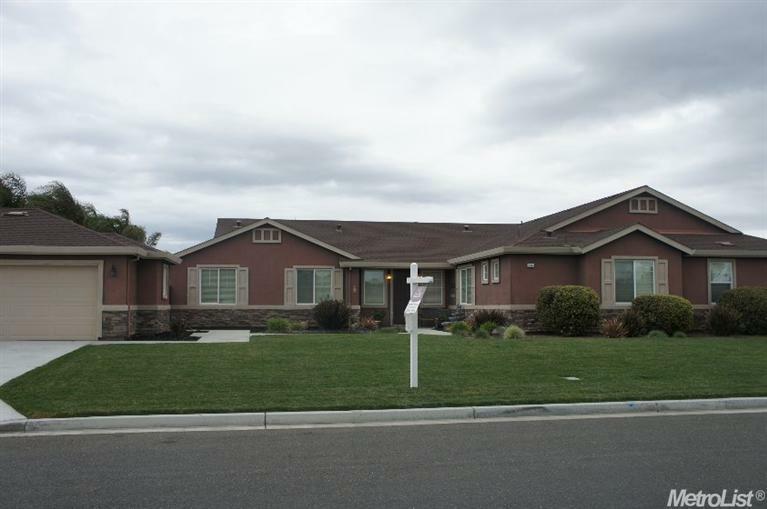 all landscaped This home was upgraded with the last 5 years with 4 BRS plus a den/office. You will love the huge open Kitchen/family room w/fireplace. The kitchen is a cooks dream w/stainless steel Bosch appliances, Granite counters w/Island/breakfast bar & Breakfast nook.Formal living Rm w/fireplace & formal dining room. all Bedrooms are good size. Master is large enough to have a sitting area.park like backyard.